“Education is not the filling of a pail, but the lighting of a fire”: you could say that this Yeatsian adage is the bedrock on which J. M. Coetzee elaborates the architecture of his sequel to The Childhood of Jesus. 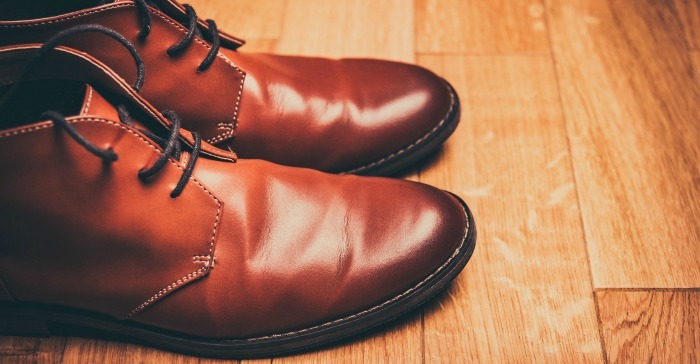 In his latest instalment to this story of a boy and his foster parents, we see the young David assert his sway over his slightly bemused parents as they attempt to cope with the difficulty of raising a strange unacademic yet over-gifted child. At the opening of the novel, the family has fled Novilla, the somewhat austere utopian city they arrived in (after having had memories of their past lives erased). The school authorities in Novilla were too procrustean in their approach to education. Now clandestinely established in the nearby city of Estrella, David’s parents enrol him in an astrology-inspired Dance Academy, despite some misgivings about its highly unorthodox teaching methods. They have thus gone from one educational extreme to another. At the Academy, David encounters the inspiring and unbelievably beautiful dance teacher Ana Magdalena and a beguiling murky janitor called Dmitri. 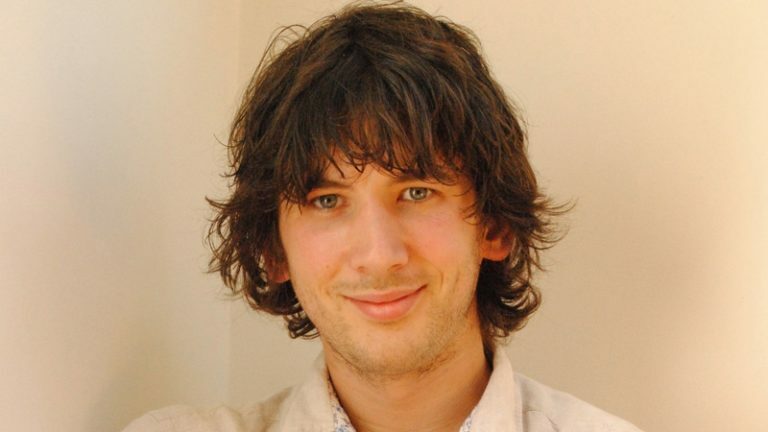 Along with Simon, David’s adoptive father figure, the reader struggles to understand this headstrong, complex boy and what goes on in his head. While there are vague echoes of the holy family’s flight into Egypt, Coetzee’s use of Biblical material is slight. The washing of the feet scene in Waiting for the Barbarians had stronger Biblical overtones than anything in The Schooldays of Jesus. There isn’t a single character called Jesus in the novel and the boy the story focuses on is a far cry from any conventional imagining of what Jesus might have been like as a child: he is difficult, arrogant, egocentric rather than selfless, grateful, and loving and there is nothing supernatural about him, at least on the surface. Yet Coetzee’s choice of title is daring and fruitful. The titular Jesus is the only word in the whole book that has anything Biblical about it and yet it manages to hover over the story like a suspenseful promise that seems always on the cusp of being fulfilled. 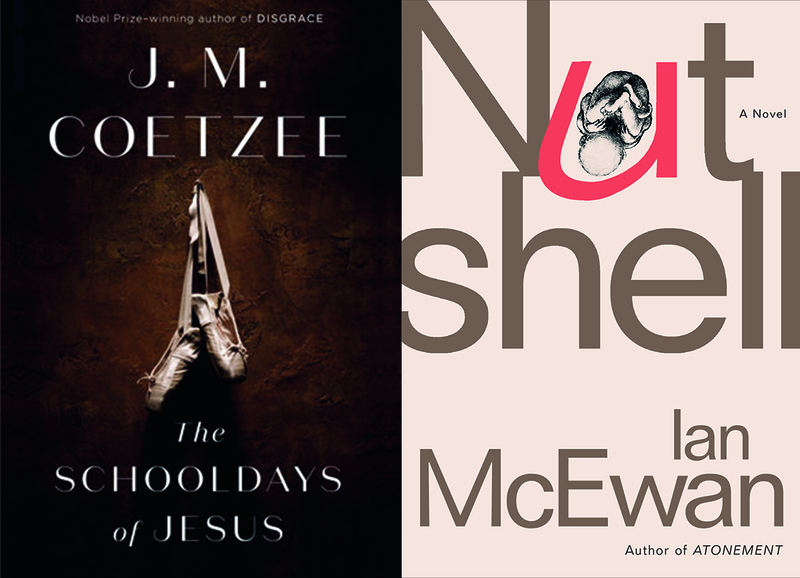 The reader is kept in a state of fascinated expectation throughout by the idea that the New Testament narrative will connect in a spectacular or wondrous way at some point with Coetzee’s story. It’s a bit like waiting for Jesus to become Himself. As in the first instalment of the story, the novel is centred on the notion of psychomachia, a medieval mytheme in which the devil vies with a guardian angel for the soul of man. This narrative nub is enacted subtly and unobtrusively in the novel and to this antithetical struggle Coetzee adds a dialogue between Buddhist/Christian detached selflessness and intensity-seeking passion. 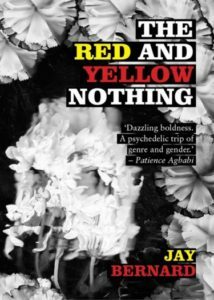 Early reviewers of this novel complained of its dry, even boring, philosophical conversations, some even claiming that The Schooldays of Jesus breaks the rules of novel writing to the extent that it can hardly be considered a novel. But this view seems unfairly prescriptive and mean-spirited: while the plot of the narrative is relatively slight (though not by Modernist standards), it is more than sufficient to hold the reader’s attention. It is quite a bit more eventful than the first instalment, including a horrific murder and redemption subplot that merges powerfully and inextricably with the plainer main plot. The complaint that the philosophical dialogue is drab does not really hold water either. The dialogue is straightforward and grounded in bread-and-butter issues for the simple reason that it is addressed to a child. This plain attention to the ordinary details of educating and enlightening a child is refreshing in that it defamiliarises ordinary events, drawing us compellingly into the strange world of childhood. Equally winsome in a very different register is Ian McEwan’s Nutshell, a novel also centred on the centripetal/centrifugal dynamic within a tightly-bound family unit. Like many of the works in the currently evolving series of Shakespeare-inspired novels created especially for the Hogarth Shakespeare imprint, Nutshell reworks the story of Hamlet in a modern setting in a formidably imaginative way. In Nutshell, Trudy (a modern renaming of Gertrude) is having an affair with Claude (a pedestrian, plodding, cliché-ridden Claudius). Both have decided to dispatch her hapless minor poet husband John. We are not initially told how they are going to murder him and although it is a retelling of Hamlet, McEwan manages to generate suspense over whether or not their cruel plan succeeds or not. The story is told from the point of view of an unborn foetus who overhears his mother plotting with his uncle to have his sweet, unassuming father murdered. Like Hamlet, the foetus is unable to act other than by kicking his mother at strategic moments in the unfolding of the plot. He does attempt suicide by intra-uterine umbilical cord hanging, however, and is almost murdered himself by Claude’s lustful thrusting. 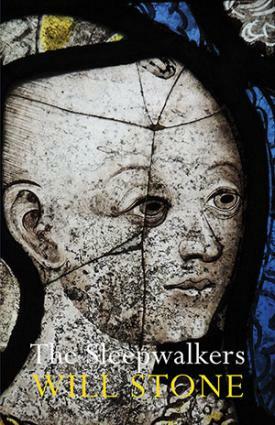 Not only is the tale masterfully and inventively retold, it also refreshes our view of McEwan as a writer. His usual unadorned, plain elegant style gives way in Nutshell to a style not exactly Shakespearean but rhapsodic in the poetic spirit of the bard. 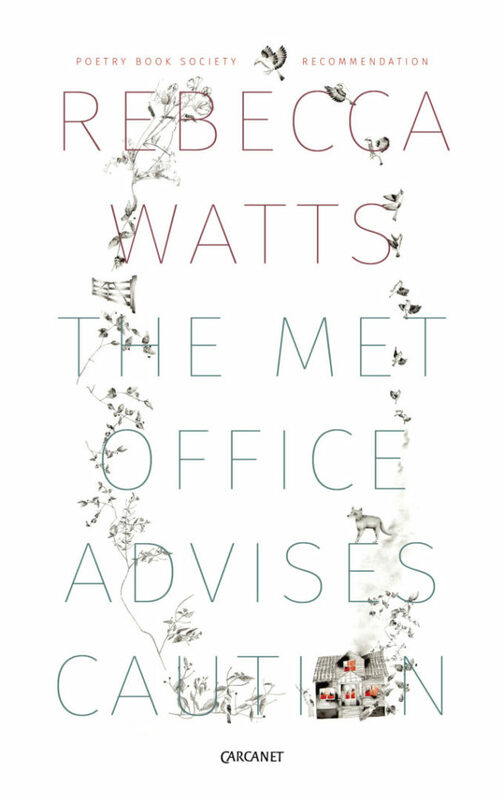 Thanks to McEwan’s skill, the reader is more than willing to suspend disbelief at the inordinately far-reaching linguistic wherewithal of the eight-month-old foetus and his penetrating (if sometimes lecturing) discourse and analysis, Hamletian playfulness and humour. McEwan succeeds in making this retelling both comic, disturbing and suspenseful with very little means. As often in his novels, the riveting resolution hinges on a tiny unforeseeable detail. In Saturday, it is the reciting of a poem; a single pubic hair almost saves the day in On Chesil Beach. Some suggest that science fiction is a woman’s genre. In its purest form, sci-fi reimagines the structures of society and, in the process, creates a topsy-turvy fairground mirror with devastating implications for the real world it reflects. From Suzanne Collins to Margaret Atwood, and right back to Mary Shelley, women writers have always questioned the prevailing ideas of their day by considering the near future. It is hardly surprising, then, that Naomi Alderman’s latest novel is part of this grand tradition, not least because Atwood happens to be her mentor. The Power reminds us that questions about our own society can be asked and answered by imagining a totally different reality. 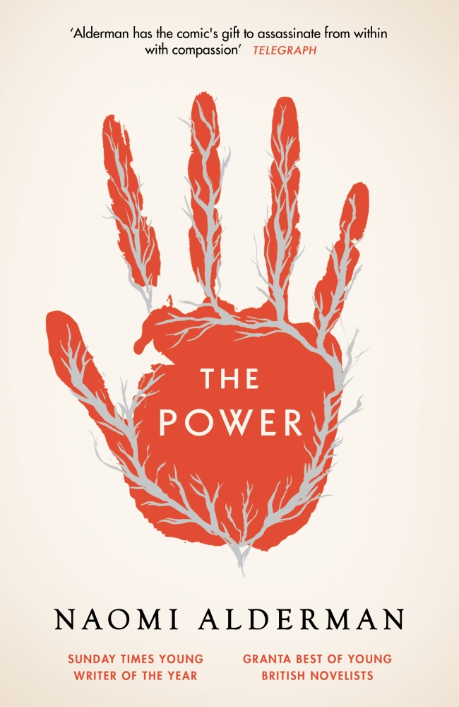 The novel is based on a simple concept: what would happen if every woman in the world acquired the ability to give electric shocks – some harmless, some fatal – from her fingertips? From that spark, everything changes, as women begin to realise that they are now stronger than men. The Power is Alderman’s fourth literary novel, but she has also written a Doctor Who tie-in book (Borrowed Time) and is the lead writer on the exercise app ‘Zombies, Run!’. Her literary fiction has covered Orthodox Judaism, Oxford undergraduates, and even the origins of Christianity. This sweeping oeuvre is not only a demonstration of Alderman’s active imagination, but a testament to her wide-ranging abilities. This latest offering, however, marks a new stage in the author’s career. Her distinctive prose remains as clear and engaging as it was since her first novel, Disobedience; the narrative voice has a detached, almost amused tone, which reminds one incongruously of Jane Austen. Yet in The Power, this style reaches its most complex, presenting scenes of violence and revolution just as adeptly as individual thought and social commentary. Indeed, the story is unflinching. Details of the terrible things humans do to each other fill the pages from chapter one. Ultimately this novel must confront a difficult question: would women abuse their physical power the same way men have for millennia? Alderman posits that they would, and explores the consequences of that misuse through the experiences of four central characters. Roxy, the daughter of a British gangster, is the first we meet. Her story is central to the structure: each high and low of the change affects her, and she survives it all, ultimately the strongest out of everyone around her. Alderman originally drafted the novel with an early version of Roxy as its only main character, but the other three perspectives are just as crucial. Tunde, a Nigerian journalist, is especially important. His attitude towards the emergence of the power mimics Wordsworth’s thoughts on the French Revolution in The Prelude, and Alderman cannot resist slipping in those immortal “very heaven” lines. Revolution, she seems to be telling her reader, always starts with hope, and often ends in disaster. Allie, a girl who escapes her abusive foster father and quickly establishes herself as the spiritual leader of this new age, is difficult to fathom. One is left with more questions than answers about her by the end, especially about the disembodied voice which guides her rise to importance. If The Power becomes a TV drama series – which seems likely, given that it has already attracted several offers of adaptation – Allie’s narrative could be further developed on screen. More straightforward is Margot, an American politician who the discerning listener will notice sounds rather a lot like Hillary Clinton in The Power’s audio book. Her progression from insignificant mayor to waiting in the wings of the White House illustrates how the acquisition of power, both physical and political, is not without its moral compromises. Together this selection of people expands the novel’s scope to an international setting. We see the repercussions of the power in Moldova, America, and Saudi Arabia as it becomes a global phenomenon. As it grows, Alderman gently shifts the tone from excitement to unease. A series of letters which bookend the novel proper deepen the disquieting effect. Thousands of years after women gain the power to electrocute, Neil Adam Armon writes from the ‘Mens Writers Association’ to the alternative reality version of Naomi Alderman. This seems in the style of Mary Shelley, whose framing device in The Last Man suggests that the novel is a history of how the world ends. The Power encourages us to read it as though Neil has pieced together this account of a cataclysmic shift in human relations from historical artefacts, many of them recognisable as objects which we have today. This disturbing thought increases the nervous tension which the book inflicts on its reader as you hurtle towards the end. Some parts are truly hard to read. It is not a joy in any context to read a scene in which a refugee camp is attacked by soldiers, let alone at a time when it has such stark resonance. All this, however, is necessary to process the ideas at the novel’s core. Power, Alderman shows us, can always be misused, no matter who holds it. There’s something about the unpredictability of a storm that arouses excitement and chaos in a reader, writer, or just your average passerby on an open road. We can look towards none other than Shakespeare for attributing such emphasis on the storm as a device crucial to narrative and character development in both theatre and literature. 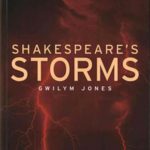 Globe Education has recently announced Gwilym Jones as the winner of the 2016 Shakespeare’s Globe Book Award for Shakespeare’s Storms. Jones accepted the honour after giving a talk at The Sam Wanamaker Playhouse on Thursday. 6th October Shakespeare’s Storms is the first study of the use of storms in each of Shakespeare’s plays. The book features chapters on Julius Caesar, King Lear, Macbeth, and The Tempest. Jones, through his interactive talk which seemed natural for its taking place in a playhouse, shared his insight of Shakespeare and the world that he inhabited. He more specifically placed great emphasis on the boundaries of meteorology and imagination in the early 17th century. Jones helped his listeners to imagine a playhouse at the time, it’s boulders pushed by men to rumble on the playhouse roof to mimic thunder. After his talk, Jones answered a few extra questions on the literary device that is the storm and the importance of Shakespeare study. Do you think that storms are used to the same capacity and effect by modern playwrights and writers today? The special conditions of early modern theatre allow for a particularly rich set of associations and effects to be available to Shakespeare and his contemporaries. Those conditions (the types of special effects; the expectations raised by those effects; the meteorological understanding of the audience) aren’t with us anymore, but writers continue to be drawn to the storm. Its suggestive power is similar, even if everything else has moved on. Do any contemporary playwrights or writers use storms similarly as a device to further their narratives or as a reflection of character progression? Storms do occasionally figure as a plot device (in the way that, say, Shakespeare uses them to separate characters), especially in film: think Castaway or The Wizard of Oz! But they’re probably more important as a source of symbolism. Two examples from the recent stage stick out to me. The wind in the Alemeida’s production of the Oresteia was utterly chilling – figuratively as well as literally. And the snow in Robert Lepage’s Lipsynch was jaw-droppingly poignant. Neither of those examples are storms in the Shakespearean sense, but stage effects have moved on a great deal; the idea of weather signifying more than weather remains. Is the unpredictability of the storm important to literature and theatre? Good question! I’ve not really thought about it like that before, but I think that it has to be a fine line between predictable and unpredictable, especially when it’s a sea-storm. For ancient myth, the sailors have generally angered the gods if they encounter a storm, so it’s not a surprise in one sense, even if it is a surprise to them. That same tension is there in The Perfect Storm (meteorological prediction and the financial situation of the characters have replaced the gods, but it’s the same dynamic). In every case, however unpredictable the storm has been, people are quick to interpret meaning from it. I think that that’s a basic human response. Why is it important that we continue in our studies of Shakespeare today? So that we’ll have something to celebrate in 2116? In all seriousness, Shakespeare gets a distorted amount of attention in comparison to his contemporaries, and I’d love to see more productions of, say, John Marston or Thomas Heywood’s plays. But what we have in the production history of Shakespeare is itself a cultural artifact. We’re not just engaging with 400 years ago, but with performances ever since. And in order to reimagine the plays for today’s stage, we have to seriously consider our contemporary condition. So The Tempest is read as concerned with imperialism and colonisation, for example; Henry V has been both pro- and anti-war depending on current conflicts; and most recently Thomas Moore has become ‘about’ immigration. Shakespeare’s plays aren’t just plays that we read and watch, they’re the plays that we’ve chosen to read and watch ourselves over time. That introspection is a huge part of what literature is for. 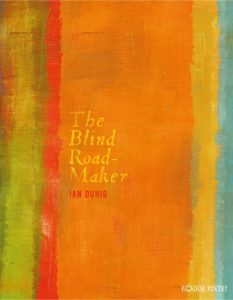 In his latest eclectic collection of poems, Ian Duhig sings (and dances) for those marginalised in poetry and forgotten by history. The Blind Roadmaker takes its life-spirit from Jack Metcalf, a little known eighteenth-century road builder from Leeds — the source for the collection’s interest in making one’s way, through life and literature, in the dark. Metcalf is one anchoring presence for a collection that revels in its own inability to stay on track. Unapologetically digressive and formidably allusive at most times, Duhig leaves his reader little time for respite or reflection in a relentless journey that, Shandy-like, improvises its own path as it goes along. At times reading like parodies of their own associative style, these are poems which nonetheless carry a rootedness in Duhig’s hometown Leeds. ‘Blockbusters’ is a quest through a varied reading list, but Duhig is insistent on Leeds as the particular setting of that internal journey. The city is not as some of us will know it, repositioned on the literary map as the mythologised ‘Ashtrayland’. 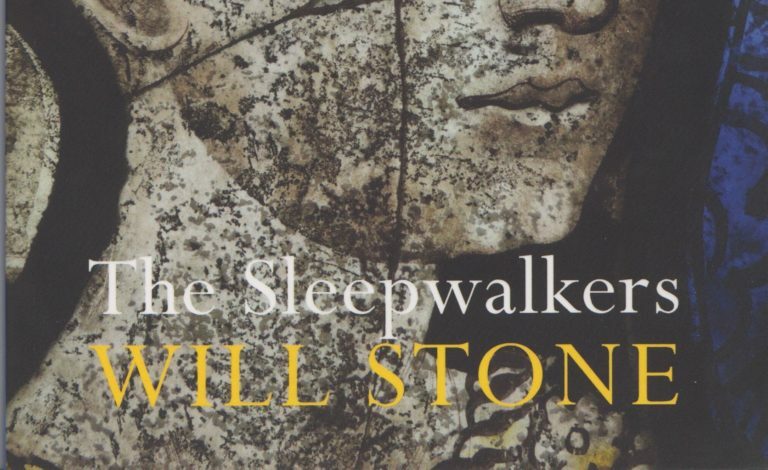 Both Arthurian and deeply contemporary, this version backlashes at one of Duhig’s past reviewers who, quoted in an epigraph to ‘Blockbusters’, writes Leeds “out of the literary world”. The result is a celebration of incongruities, an injection of Romance into the city’s concrete jungles, in which “estate” puns a new, updated meaning. The grim humour of ‘The Blue Queen of Ashtrayland’ — “With no round table, they hand round / White Lightning in two-litre flasks” — does not sacrifice its subject to mockery or bathos, instead delighting in the colour that anachronism brings. Duhig clearly enjoys the tension created by setting one text or context against another (he is fond of provocative epigraphs). As a poet, he facilitates conversations as often as he engages in them; ‘Blockbusters’, for instance, is more interested in its incongruous epigraphs than the reader. This poem, key to the overall design of The Blind Road-Maker, is emblematic of the experience of reading many of the poems: a glimpse at a mind in the process of creating, still flitting from thought to thought, not yet ready, or perhaps simply uninterested in, settling on a poetic theme. Such eclecticism is often alienating, however, which pushes against Duhig’s populist agenda (as ‘Blockbusters’ reminds us through characteristically good wordplay, writer’s block can be defeated by trawling through commercial successes such as Dan Brown’s The Da Vinci Code). ‘The Rum District’ ends up absurdly learned in its interest in etymology and history, but comes to nothing in the final line, “melting like this poem”. The poems tread a fine line between genuinely surprising and impossibly idiosyncratic, the latter more manageable when Duhig is re-writing the canon, like the stupidly playful version of Don Juan in the mock-mock-epic ‘Canto’. If the majority of the collection is a fool-like performance by the many-voiced Duhig — several of the poems are self-conscious dramatic monologues — some of the most impressive poems marry the theme of fluctuation with a voice that is cohesive and steadying. The speaker in ‘Give Me Your Hand’ calls for a harmonising dance of bodies and poetry’s “turning feet”, but the words are not muddied by the poem’s own sudden twists and turns, as happens elsewhere. A notable exception is ‘The Marbled Page’, which skilfully enacts the printing process it describes through a series of metaphors that metamorphose into one another. The marbled page is “new waters” on which “a quill puns itself into a swan”, before “The swig in its beak-nib bursts / into marbled leaf, marbled tree”. Those meltings into one another bear out Duhig’s belief in the fluidity of his writing process, composing poems “never knowing where they will take you”. The poems are ultimately at home in literature, what Duhig reminds us is the “room” of the stanza; when we are invited to dance with him in Ashtrayland, it is a call to rejoice in poetry itself over any physical place. ‘The whole challenge of poetry’, Alice Oswald once wrote, ‘is to keep language open, so that what we don’t yet know can pass through it’. 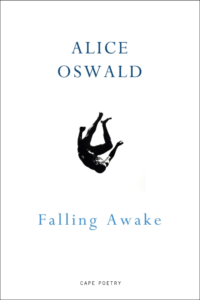 Her new collection, Falling Awake, is proof of this: full of poems that are somehow both spare and spacious, it is held together by her vision that language ought to be continuously re-made – and always revelatory. The simplicity, however, is deceptive. These carefully-knit pieces position themselves as heirs to a long alliterative aural tradition, and rely on the inner music of each line (as heard in ‘as if a thief‘, or ‘sharp intake of air‘) to echo in the mind. Some draw directly on the onomatopoetic potential of both familiar and invented words to illuminate moments which would have been imperceptible to the eye, but not the ear. One such poem, ‘Sz’, places a finger on the ‘first faint breeze of unrest / no louder than the sound of the ear unzipping’. Oswald’s confident grasp of the English language’s dynamic range allows her to employ with considerable finesse such resonant instruments which almost certainly would have rung hollow in the hands of a lesser craftswoman. It’s impossible not to hear in these lines echoes of Dart and A Sleepwalk on the Severn, which previously established Oswald as an expert navigator of both custom and invention. Crucially, Oswald’s mortal landscape is also an inhabited one. On the periphery, ‘walkers float / on the wings of their macs’, while the foreground – where ‘three rivers spring to their tasks / in … indecent hills’ – is peopled by geographical elements with very human qualities (‘A Drink From Cranmere Pool’). Standing in as nature’s divining-wand (to borrow Heaney’s memorable image), Oswald herself is ever there, her attentive ‘I’ always alive to its impact on the surroundings. As she writes in ‘Shadow’, ‘if I stand / if I move one hand / I hear the hiss of flowers closing their eyelids’. We get a rare glimpse of her in third-person in ‘You Must Never Sleep Under A Magnolia’ (a mother’s voice: ‘Alice, you should / never sleep under / so much pure pale’), but such distancing turns of speech are uncommon overall. More often, we are drawn into an immersive, intensely-observed landscape where Oswald dwells and her (human and non-human) interlocutors. The book finishes with the text of one long, performance poem (‘Tithonus’), linked with a brief, concluding piece (‘And So He Goes On’), both of which exploit – and exalt in – the qualities of Oswald’s poetry described above. With its sonorous lilt (and in Cape’s elegant presentation), ‘Tithonus’ moves persuasively between page and stage, stalking a liminal space analogous to that which its title character occupies between night and dawn. 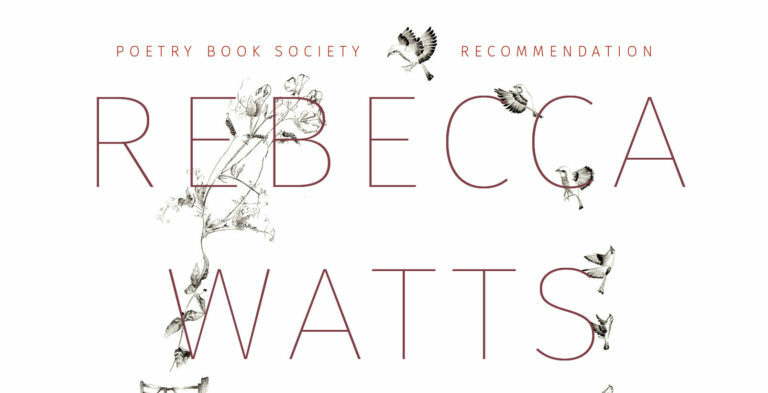 It takes a rare and formidable poet to conjure a sonic landscape which most of her readers have only heard in their sleep – and summon, at the same time, Hamlet’s ghost, Grendel, and other creatures of the half-dark. Oswald steps bravely to the task, and with an insistent care for the sounds we have become deaf to, writes to convince us that there is still a language for the shock of being alive.